One of the most significant developments in separations science in the past decade has been the introduction of Ultra Performance Liquid Chromatography, known as UPLC. At The Spott, we listened to our customers and recognized that HPLC throughout was limiting our efficiency. Laboratories using HPLC can’t keep pace with the urgency of business demands and to analyze more samples, faster and with better more accurate results. So we offer our customers an entirely new category of chromatographic performance. Exceeding the standards of labs across the world. Achieving true UPLC performance requires that system dispersion (or extra-column band spread) be matched to the peak widths associated with narrowbore columns packed with sub-2-μm particles. 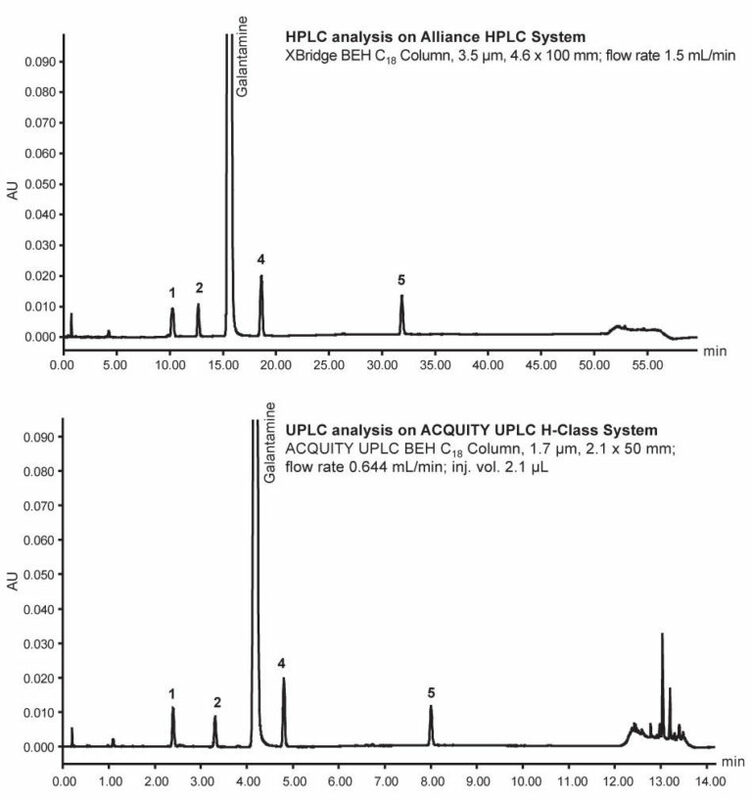 While other systems might be designed for high pressure, it doesn’t mean they’re designed to deliver the sharp peaks associated with UPLC performance and the ACQUITY UPLC H-Class System. Get the flexibility of multi-solvent blending with the Quaternary Solvent Manager (QSM), and blend four solvents in any combination or proportion. Expand to up to nine solvents with the optional and integrated solvent-select valve for even greater flexibility. Automated solvent compressibility allows you to run any solvent in any combination without loss in accuracy or precision. The needle-in-flow path design ensures an accurate needle seal at high pressure. Injection volumes from 0.1 μL up to 1 mL are supported. Ultra-low carryover is managed through programmable method settings to ensure compatibility even with the most sensitive mass spectrometers. Configurable for 1 to 6 columns, each housed in individual temperature controlled zones with active pre-heating and a temperature range of 4 to 90 °C. 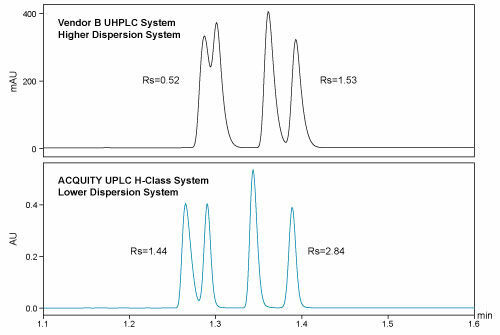 The ACQUITY UPLC H-Class System is the only quaternary LC system in the market with a wide range of detectors that have been optimized for true UPLC performance. Minimizing dispersion and optimizing the electronics and optical paths for the narrow UPLC peaks yields the highest sensitivity and repeatability with the most accurate quantification. Significantly reduce the time you spend in the prep lab by automating the formulation of mobile phases at specific pH and ionic strength from reservoirs of pure solvents or concentrated stock solutions using Auto Blend Plus Technology. Compatible with reversed phase, IEX, and SEC, this technology makes routine analyses easier to manage and execute and streamlines method development and method robustness testing by allowing you to test even the smallest changes in pH and ionic strength without needing to make each individual buffer. Automatically manage gradient start time and pre-injection steps in parallel with SmartStart Technology. This allows you to compensate for system volume differences when transferring methods between different LC systems or to minimize inject-to-inject cycle times for high throughput applications. Qualification of laboratory instrumentation is an integral part of compliance with regulatory and quality standards such as GMP, GLP, ISO 17025, USP <1058>, and others. 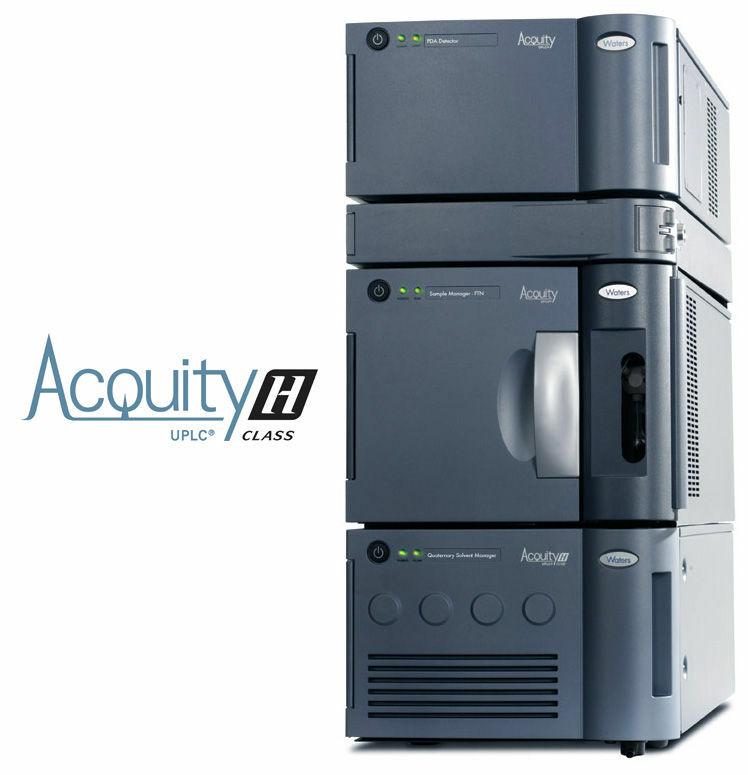 The ACQUITY UPLC H-Class System supports Waters Empower based automated system qualification tool (SQT), which minimizes the time and cost associated with annual qualification.